Seven seas. Seven sins. Seven days of the week. And now Seven as the theme for first ever Write Tribe Festival of words. 1. No person to be repeated even if he/she is the first person to be seen that day. So what are we waiting for? Let’s get started! I wondered last night as to how exactly do it. Feature I must this person, that is there. But then everything needs a process even breaking of rules. So I thought to myself, what is the theme? Now see it has many tones to it, a physical presence is seeing, an image is seeing and a video chat is also seeing. Yeah! Technology saved me again! 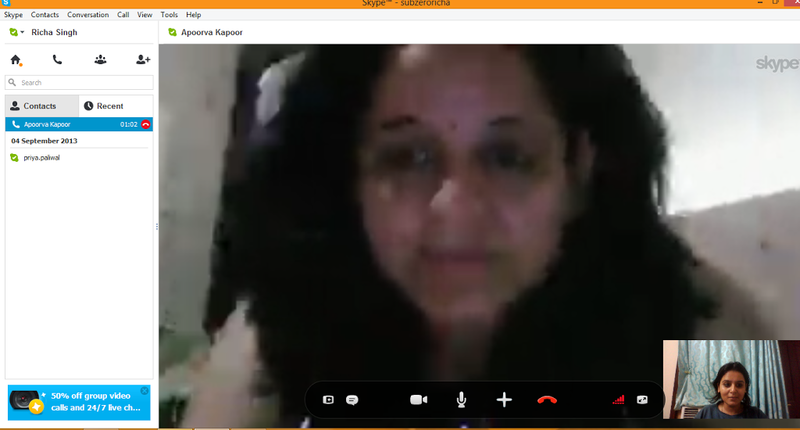 Thanks to whatsapp we had Priya Paliwal visiting us and now again thanks to the wonderful skype we are going to have the very famous Apoorva Kapoor!! 2. If you ask anyone around, I mean any person in Tata Motors especially Lucknow premises, they all would in sync reply that if there is someone they consider as a worthy HR professional it is Apoorva Kapoor. Till date she is my closest friend around but I dare not speak to her of some bias or favour. Something I respect a lot about her. 4. I am currently reading time traveller’s wife, last book was the color purple and before that book thief. They are all her recommendations. An avid reader, her passion for books does not just stop at reading them but making sure people around her read more and more. And like all things in her life, she is immensely charged about this as well. 5. She has one of the most amazing set of parents one can ever dream of. Her parents will always make you feel so much welcomed and loved. One often wonders whether her warmth and sense of deep friendship is actually a clear reflection of the upbringing. 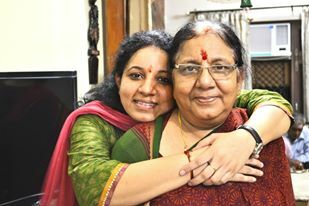 Something which I personally consider as one of my most favourite clicks is of her and her mother..
7. Like I did for all the rest of the people featured, I imagine my life without her as well. And I get scared. I know in hearts of hearts my life in Tata Motors would not be ten percent as good. I would perhaps have been very disillusioned with life in here. But most importantly I would be still single 😛 😛 Project Richa and Vikas was one of her prime matchmaking initiatives and of course our success has given her impetus for some more (in partnership with me 😀 ). As an HR person she takes the “employee engagement” activities very seriously 😀 😀 By the way we are both currently on a matchmaking process we might need your blessings for that! I am sitting back and reading the whole thing again, I am still smiling. Can anyone imagine her screaming and shouting with joy about a deva sharif trip? Her madness let me tell you is infectious Her stories invariably have a high and unique fun quotient. If you have nothing to do with a set of friends, please contact her, she will suggest some of the most creative games to play. Don’t worry they have all been tried and tested on us so you can safely play them without caring a damn about your sanity 😀 I don’t have words to describe my love for you, the only regret I have is that you could not attend my wedding… I love you a lot, I hope you never change! Now now the Write Tribe festival comes to an end. Please do hop around tomorrow as well (and thereafter :P) because I will of course write about the wonderful blogging group Write Tribe and that will be a must read post!! Till then good night and happy Sunday to all!! Have you seen this week’s Blog Turner? 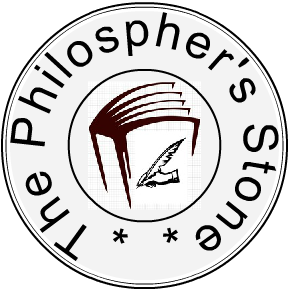 The weekly journal bringing news from the blogging world. Nice to know that you have so many admirable friends among you, friends that bring a smile on your face and are your inspiration too! You have such a wonderful group of friends and I have enjoyed meeting each through your posts. How cool to get to know Shiva better through your post here! Thanks Kathy and I enjoy your posts too! One blogger mentioned just my name in her blog & Its so thrilling. Cool! So, you have an awesome relationship with the HR. Wow! She’s Shiva. She writes amazingly well:) Guess, the perfect end to your theme, Richa! I enjoyed meeting the people you have written about in your posts. Your descriptions have humanized them and brought them to life. You offer wonderful tributes to your friends! They are blessed to have you in their lives. She sounds like a fun person with great taste in books! 🙂 And you both sound enthusiastic for living and fun. Such a nice intro! You are one lucky lady to have so many awesome friends. Enjoyed your theme, so unique. Thanks for showcasing your lovely friends. Hi Richa, that is a very nice piece. I can imagine the fun you both had together and will always cherish. May god always be with you both. 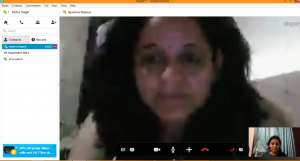 How nice is it to know Apoorva through you and equally nice to see your mutual admiration. The points mention were pretty real for me, because I keep reading Apoorva and found a glimpse of her in your points that i could understand and relate to. People with sunny disposition make the surroundings lively…so did you by introducing your circle through your sunny writing style…All the best! Your series was beautiful. Good to know that you are blessed to have friends around you. Thank you for helping me make memories via this write tribe.